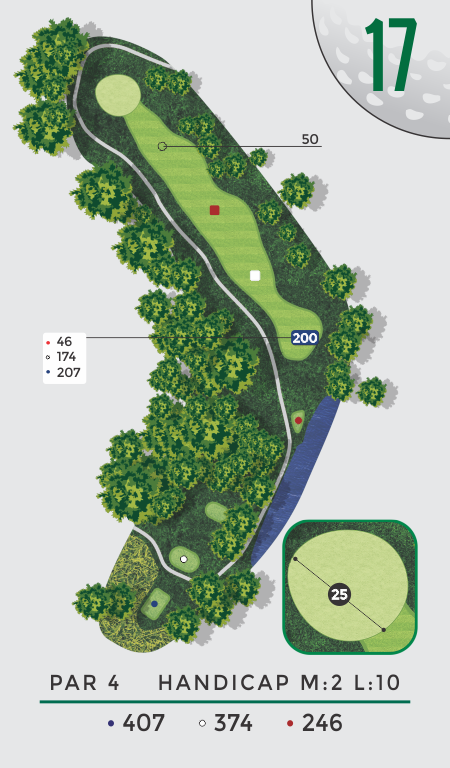 This difficult dogleg left par 4 has a forced carry of 150 yards over a large ravine in front of the tee. The second shot is to a slightly elevated green. Watch for out-of-bounds behind the green. A par on this #2 handicap hole is a great score.